And someone is turning them into highly trained killing machines. Straight out of school, Griffin, a junior Investigations agent for the North American Trade Union, is put on the case: Find and close the illegal crèches. No one expects him to succeed, Griffin least of all. Installed in a combat chassis Abdul, a depressed seventeen year old killed during the Secession Wars in Old Montreal, is assigned as Griffin’s Heavy Weapons support. Nadia, a state-sanctioned investigative reporter working the stolen children story, pushes Griffin ever deeper into the nightmare of the black market brain trade. Deep in the La Carpio slums of Costa Rica, the scanned mind of an autistic girl runs the South American Mafia’s business interests. But she wants more. She wants freedom. And she has come to see humanity as a threat. She has an answer: Archaeidae. At fourteen, he is the deadliest assassin alive. Two children against the world. The world is going to need some help. Quite an interesting story this one. People now have the choice to live forever as a machine and the black market trade in children to be used as killing machines is big business! I loved the idea of the different chassis you could be downloaded into. Griffin is investigating this black market and the crèches that supply the children, things don’t go his way and children die..this just spurs him on even more but you can see it affects him. One such kid who didn’t manage to escape a crèche is an autistic girl, who gets named 88. Some very bad people want to use her highly intelligent brain in order to make money but she starts to become more aware of what they have done to her. Their worlds collide when they both decide to track down who is behind the illegal trade. Without spoiling the story too much it tracks back to one man..and let’s just say he’s a little crazy..and he’s getting more and more unstable. I enjoyed the plot a lot, very easy to follow. The best thing had to be the development of the story itself. I enjoyed the characters for sure but the plot itself is what kept me hooked more. The idea of harvesting kids isn’t an easy one to swallow and it gets a bit gory at times with some violence but it all adds to the tale and makes it unlike anything I’ve read before. It a brutal vision of the future and I does make you think about what could happen if technology keeps advancing. At times the action is gut punching. A dark and grim tale but full of action and detail. Brilliant development throughout. All in all not a book that you’ll easily forget. If you enjoy the genre this will be right up your street and if like me you like the idea of people being transferred into robot shells you’ll love it. I loved that the author touched on the moral side of things also asking if machines should have the same rights as humans.. if anything like this happened in real life you know this would be something that would crop up so the tale really does make you think. This entry was posted in Book Reviews, Dystopian and tagged Bloggers, Book club, Book Lovers, Book Reviews, BookBlog, Books, Dystopian, Reading, Reading List, Reviews, Writing on April 20, 2017 by Bairdy1985. Meet the MUTANT HUMANOIDS. They may look a little different from us, but inside they’re much the same as you and me. Left on a diseased Earth, they live in windowless compounds, safe from the contaminated wilderness outside. Safe, yes, but their lives are restricted. When the mutant humanoids discover that some complete human beings, COMPLETES, have also survived and are living greatly improved lives on satellites, they determine to rectify this imbalance and claim their share of Earth’s heritage. Three-headed RA rules the humanoids with ruthless precision, but others are involved in a power struggle to depose him. Who will succeed in being the next CEO of Planet Earth? Sixteen -year-old MERCURY plans to start a new life on Oasis. Will it prove the Utopia he expects it to be? ASCENSION, the first novel in Jeannie van Rompaey’s Oasis Series, explores with humour and compassion the way humans respond to change. The future worlds of Earth and Oasis mirror our contemporary society. The division between the haves and have-nots widens and the lust for power leads to corruption. But there are idealists determined to build a fairer, more egalitarian society. This book follows the lives of the mutant humanoids on earth, who’ve been left behind after a plague has hit the world. It was very interesting idea from the author to say we humans bring on such a plague by how we treat the world we live in. I found myself thinking throughout this book about the hidden messages within. The author not only touches on how we take our world for granted but also deals with issues such as racism. The author has done well to create a world so similar but so different to our own at the same time. There are a lot of mythological references throughout the book which I really liked. The story itself was very interesting, being told from different perspectives. I especially liked Mercury. About half the book relates to him and I enjoyed every bit. He was by far the most developed and the author clearly put some time into the character. My 3 star rating is mainly due to the fact I was a little confused as to the target market for the book. Some scenes definitely felt more YA but then a few were most certainly adult themed. The mutant humanoid army was probably the bit I liked the least, their characters being too fickle. I would have liked to see them struggle a bit under their leadership but they were one dimensional following orders blindly. This was the bit that felt very YA to me. Easy reading but it happened too fast. To be honest this was an enjoyable but thought provoking read. I read it in 3 days thanks to the author’s style of writing, not over complicating things. I think the author has set herself up nicely for the next book in the series, hinted at things to come. Enough has been given in my opinion to get you to pick up the next book when it’s released. I definitely see more conflict in the next instalment and I look forward to seeing how things play out. I was very lucky to be given a little insight to the author and how The Oasis series came about..Enjoy! I live on the subtropical island of Gran Canaria with my husband, a historian and artist, and spend most of my time writing novels, short stories, plays and poems. I also paint and TJ and I exhibit our artwork together. My daughter, Anieka, lives in London and we make frequent trips to see her, visit art galleries, go to the theatre and attend literary events. What a wonderful life! I was brought up in the village of Weston, Northamptonshire, in a thatched cottage with shop attached so that my mother could combine looking after me with earning a living. I hated it when the shop bell rang and she called out to me to answer it and serve the customers. It broke my concentration from the stories I was writing. I’ll certainly never be a shopkeeper but my passion for reading and writing has never faltered. I tend to be an eternal student. My formal education culminated in receiving an MA in Modern Literature from the University of Leicester in 1996, but I won’t ever stop learning. My career has included teaching, lecturing and running drama and creative writing workshops. I am also a theatre director, actor and voice-over. As Jeannie Russell I am a senior member of the Guild of Drama Adjudicators and adjudicate at drama festivals in the UK and Europe. Next year I’m off to Frankfurt to adjudicate for FEATS – Festival of European Anglophone Theatrical Societies. I’m looking forward to that. I have four published novels, quite a few short stories and my plays have been produced on the London Fringe. Themes include the power of creativity, the complexity of relationships and speculations about the future of our planet. I became interested in writing dystopia because of my concern about the environment and the use of science in contemporary society. I have read several novels about future worlds, including Margaret Atwood’s The Handmaid’s Tale, her trilogy, Oryx and Crake, the Year of The Flood and MaddAddam and Kazuo Ishiguru’s Never Let Me Go. They are both imaginative literary authors who have used their talents to write dystopian fiction. Reading their work inspired me to create my own future world. Looking up at my painting of a three-headed man hanging over my desk, the character of three-headed Ra was born. He soon became the ruthless CEO of the mutant humanoids living in windowless compounds on a contaminated Earth. As my novels are character-led, rather than plot-led, it wasn’t long before I was inventing more mutant humanoids to inhabit the claustrophobic worlds inside the compounds, characters who were turned out to be ambitious, determined and resilient. I imagined another group of survivors, humans without mutations – completes. These lucky ones managed to escape the polluted Earth to live a privileged life on a manmade satellite called Oasis. Given a second chance they construct what they believe to be a perfect world, a utopia. I could see that there would enough conflict between these two groups in their very different worlds to make a story. The mutant humanoids incarcerated in their compounds on Earth would surely envy or even resent the new life the completes were creating for themselves and want to share it. That’s how The Oasis Series began. Ascension, Evolution and Renaissance. I invite you to enter my world. Enjoy! 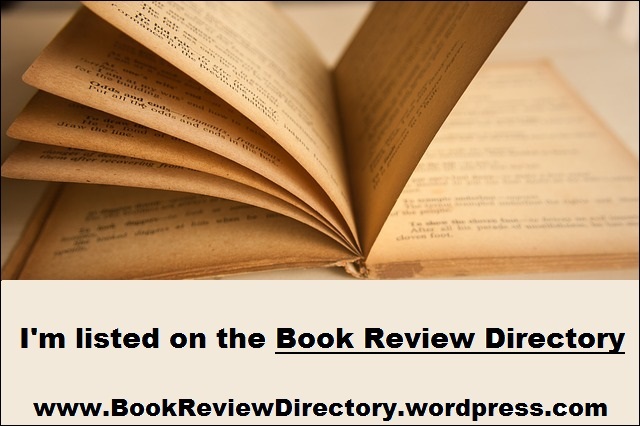 This entry was posted in Blog Tours, Book Reviews, Dystopian, Science Fiction and tagged Authors, Book club, Book Lovers, Book Reviews, BookBlog, Books, Dystopian, Ebooks, Kindle, Reading on April 12, 2016 by Bairdy1985.